You have watched the SWA video, and you’ve asked Manny Viloria questions about SWA Ultimate after going through the SWA Frequently Answered Questions. If you want to download the above PDF file, please right-click on the link, then left-click on “Save File As…” and save it to your hard disk. You can then print it out and keep it beside your computer while you go through the online ordering process. 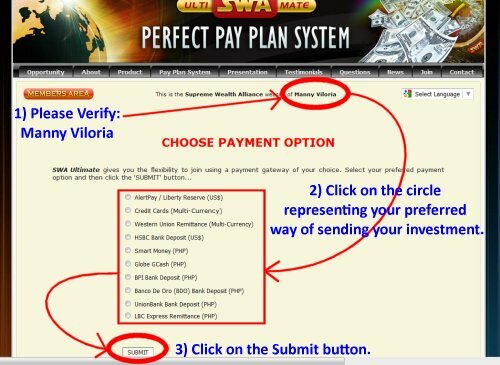 IMPORTANT: Please check that the sentence “This is the Supreme Wealth Alliance website of Manny Viloria” appears on the page, before you click on the JOIN tab. 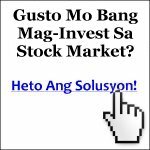 In the box beside Confirm Referrer, please type in Manny Viloria. For New Member Username, please type in something that is memorable to you. For example, your nickname. For New Member Full Name, please type in your full name. Here’s a tip: Use a name that your friends will recognize. For New Member Email, please type in your most reliable email. It will help if you use a GMail address, but Yahoo will do fine. Just make sure you check your Bulk folder regularly. For Password, please type in a password that you have not used anywhere else. Think of a password that you will use just for Supreme Wealth Alliance. It’s much safer that way. For Confirm Password, just type your chosen password again. For Country, please type in the country where you are currently residing. Then, after you’ve checked what you typed (please make sure the spellings are correct, especially for your email address), click on the SUBMIT button. After you enter your credit card details and complete the payment, please click here to contact us and we will help you get started. Please let us know your Name and Email address so that we can check the records. National Bloggers Association – Just Say No!